I've been super preoccupied with EM Productions ever since the year began and we never expected summer to get even more busy. It's a good thing though! The only thing i feel bad about is not being able to keep this blog alive. I have so so so much stories and photo escapades and weddings and portraits and everything photos i am so dying to share but i haven't started sorting them all out yet. Amidst all the alibis of a fat busy bee, here's another thing I am so excited to do. In behalf of EM Productions, I have decided to push through with a short photography class for kids this summer. It's even better because i got invited to tie up with really wonderful people to do this. 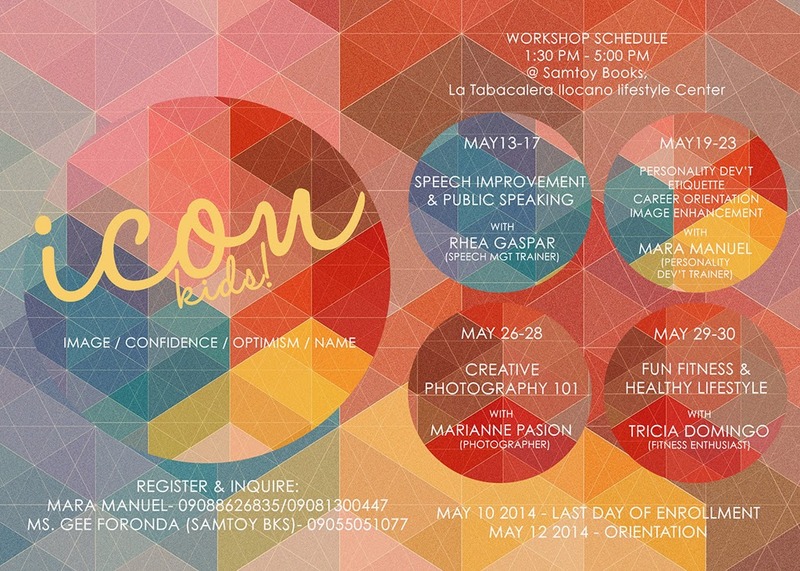 Ms Mara Manuel of ICON started a personality development workshop for kids last summer and it's going to have it's second blow this coming May. I am so stoked to be a part of the kids' part two. :) I will be teaching about basic photography for kids with activities that are going to push their creative juices out. More details on how to inquire are on the photo.